We mentioned about ZoneAlarm in our article on free best Firewall softwares . Though ZoneAlarm commonly known for its Firewall , they also offer antivirus and internet security suites . Like Kaspersky , F-secure and Norton and others Check Point released 2010 versions of ZoneAlarm security products to maintain compatibility with upcoming Windows 7. Check Point offers three Zone Alarm products namely Extreme Security ,Security Suite , antivirus , ZoneAlarm PRO and ZoneAlarm free . The latest notable change in ZoneAlarm is a new hard disk encryption feature . This will encrypt all personal disk content with industry standard encryption that prevents misuse at the event of theft .ZoneAlarm 2010 versions uses Kaspersky Antivirus Engine .So with traditional strong Firewall protection they offer strong antivirus protection in all products . Though the hard disk encryption sounds great , you will need to pay additional dollars to avail this .Also the 3 user license of ZoneAlarm Extreme security is priced near 70 $ . This is really high considering the cost of Kaspersky Internet security which is only 10 $ in India for one year 3 -PC license . Download protection : Scans internet downloads and defines proper actions based on detection . High security two-way Firewall that blocks hackers and intruders . Hard disk encryption at additional 29.9 $ . Secure online backup free . Kaspersky protection against viruses ,trojans and other malwares . Parental controls ,Anti-spam ,private browsing ,PC Tuneup ,phishing , keylogger protection are other notable features . ZoneAlarm 2010 version 9 direct download links . 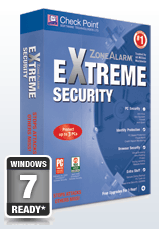 Download ZoneAlarm Extreme security 2010 . 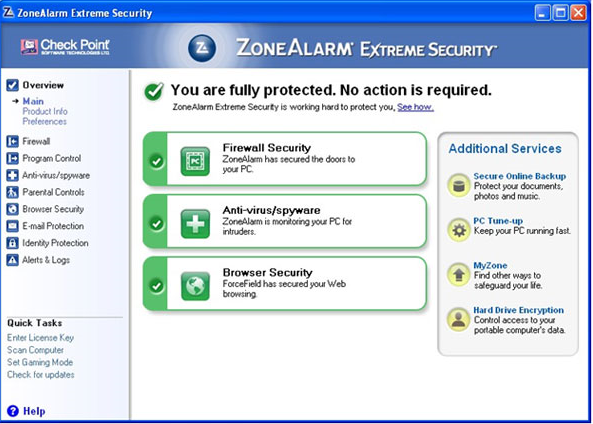 Download ZoneAlarm Pro 2010 . 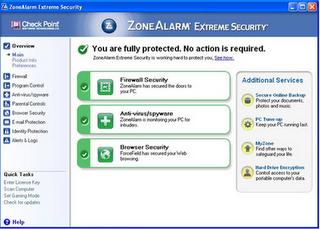 Download ZoneAlarm Antivirus 2010 . If you want one of the best Firewall and hacker protection ,then ZoneAlarm Pro(Firewall+Spyware) with Kaspersky antivirus 2010 would be great choice .